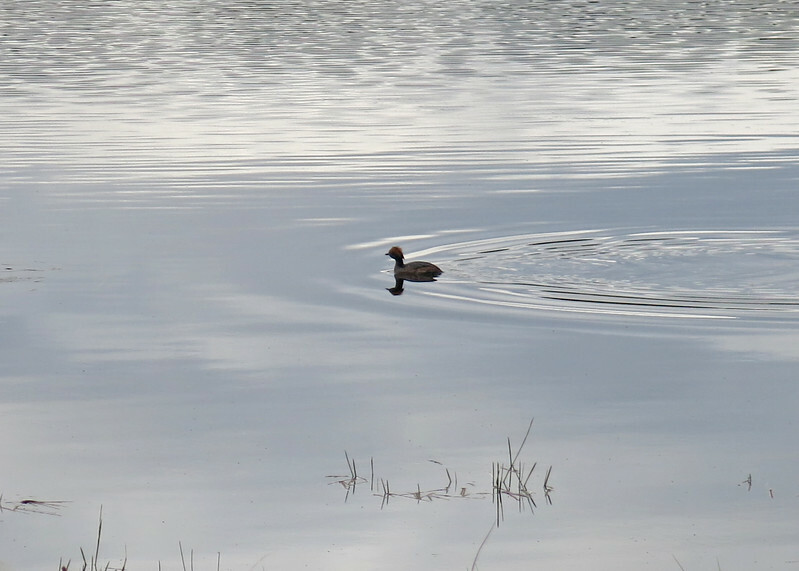 .......... and there it is ...a Slavonian Grebe. This was themale out on a fishing trip to feed the female sitting on eggs. They breed in Scotland, but are rare. We have seen them on the Exe Esturary in winter but again rare. Our Guide was very proud to show us this little rarity.